A story first published in the Inlander nine years ago has arrived on the big screen. In 2005, Kevin Taylor wrote “Dreaming In Green,” a cover story about the B.C. 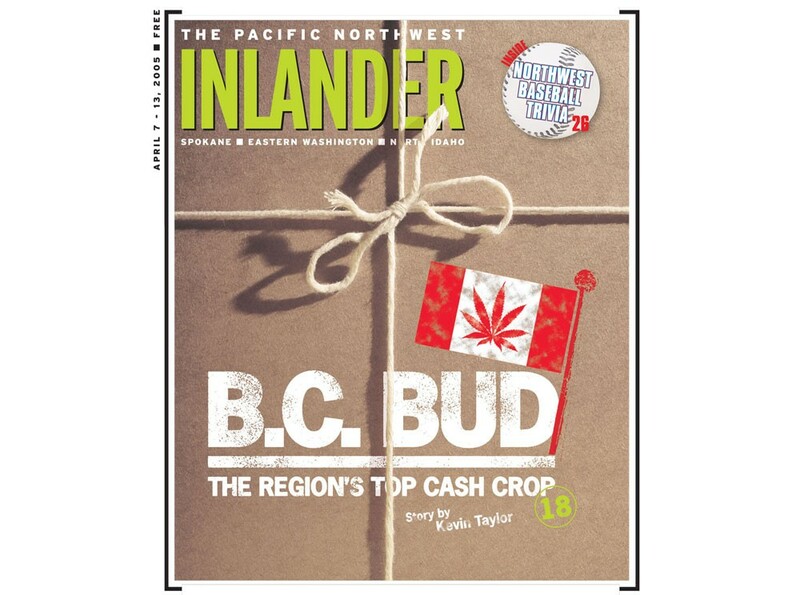 Bud industry and a group of Coeur d’Alene kids who became a top smuggling ring before a homicide led to their downfall. Rolling Stone caught on a while later, and now the story is told in the just-released movie Kid Cannabis. Nate Norman remembers sitting around one day with his pal, Topher Clark, toking a little weed and reading a High Times magazine. He was just out of Coeur d'Alene High School, working two jobs — doing auto body work by day, delivering pizzas at night — and daydreaming about something better. "Me and Topher were sitting on the couch and there was this big article — it was like four or five pages — and it said if you want good weed, go to the Canadian border with a backpack," Norman recalls. It sounded insanely easy. Buy good-quality weed at Canadian prices, take a short walk through the woods and sell it to Americans. There had to be a catch. They drove north, and in a couple hours were on a gravel road at the international border. It was an eye-opener. No guard towers, no barbed wire, no German shepherds straining against their leashes. Instead they found a little cemetery, a weathered wooden fence, an obelisk. Norman and Clark took a breath and, in more ways than one, stepped across the line. No sirens went off, no helicopters came swooping out of the sunny afternoon sky. Pretty soon they were in Creston, British Columbia, and bumped into a guy smoking a joint out on the street. "We said, 'We're Americans. We'd like to buy some weed,' " Norman says. Read the full story here. Last year, Taylor also wrote about the experience of being on the movie set and how it all came to happen. Kid Cannabis begins show today at Hayden Discount Cinema — whose owner had mixed feelings about showing it — and will open at the Magic Lantern next week. It’s already received positive reviews from the LA Times and New York Times.